High school teacher Bill Stevens wrote to tell us that Smith, now at Georgetown University, learned a lot from reading The Beat and from the author visit by Charles Stephenson when she was a student at SEED Public Charter School last year. 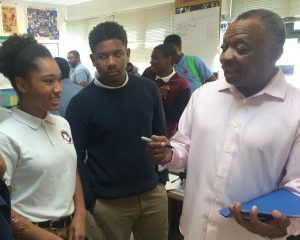 Stephenson visited the school as part of Teaching for Change’s “Teach the Beat” program that brings go-go performers and scholars to D.C. classrooms. Stephenson spoke about the history of go-go and its impact on DC, the United States, and the world. During his remarks he showed students go-go memorabilia that he collected over the years as a fan and while serving as the original manager of Experience Unlimited (E.U.). Myiah Smith and Charles Stephenson. 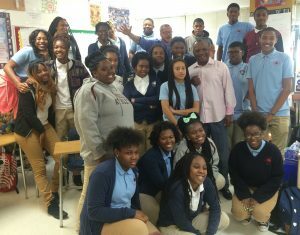 Charles Stephenson with Bill Stevens’ class at SEED PCS. We can’t claim credit for Smith’s interest in go-go, but we are overjoyed that our “Teach the Beat” program has a connection to this exciting new performance. Here is a description of the go-go musical that can be seen at Georgetown University from November 3-12, 2016. Reserve your tickets today. 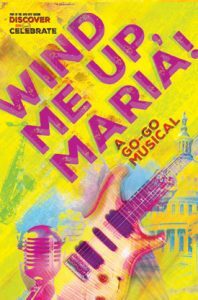 Maria, a DC native and a rising senior at Georgetown, has a dilemma — it is the summer and she has not landed a job or an internship; and yet, all she wants to do is to write and perform go-go music. When she finally finds employment as a live-in tutor at a wealthy Georgetown household, she begins teaching the children about go-go. With its non-stop party groove fueled by congas, cowbells, timbales, and call and response interactions with the audience, go-go is the signature sound of DC. Created by “singular playwright-director” (Boston Globe) Prof. Natsu Onoda Power and producer/educator/ lead singer of one of DC’s premier go-go bands Rare Essence, Charles “Shorty Corleone” Garris. 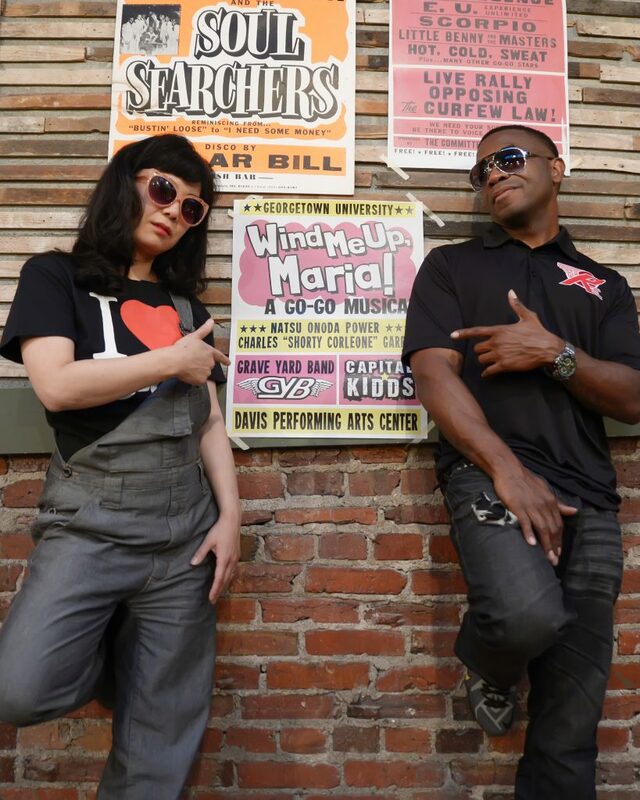 Professor Natsu Onoda Power and Charles “Shorty Corleone” Garris, the creators of “Wind Me Up Maria.” Photo by Shannon Finney.